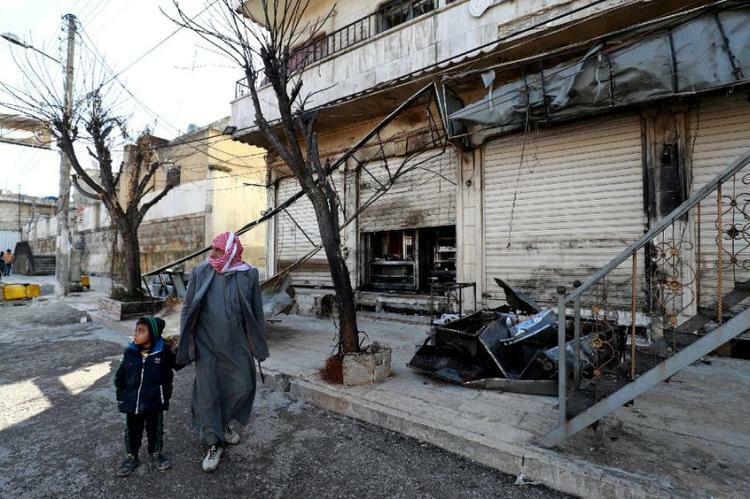 Ankara (AFP) – Turkey on Friday insisted Syrian regime forces should not be allowed in Manbij as US troops withdraw, as proposed by a US-backed Kurdish militia viewed as terrorists by Ankara. The strategic northern city has been held by the Syrian Kurdish People’s Protection Units (YPG) militia since 2016 after they recaptured the territory from Islamic State jihadists. But Ankara, who says the YPG is a “terrorist offshoot” of the outlawed Kurdistan Workers’ Party (PKK), has repeatedly called for the militia to leave the city. “The YPG’s efforts to stick the regime in Manbij must absolutely not be allowed,” Turkish Foreign Ministry Hami Aksoy said during a press conference in Ankara. Turkey has repeatedly threatened to attack the YPG and said it would set up a “security zone” in northern Syria following a suggestion by Trump. Last month, the YPG called on the regime to “assert control” over areas the militia was to withdraw from, including Manbij, to stop a “Turkish invasion” and fiercely rejected a “security zone”. Russian Foreign Minister Sergei Lavrov said Wednesday that the Syrian regime must take control of the country’s north. Turkey, which supports Syrian rebels and has called for Syrian President Bashar al-Assad’s ouster, has conducted two previous offensives in Syria against IS and the YPG in 2016 and 2018. In March last year, Turkish military forces supporting Syrian rebels recaptured the YPG’s western enclave of Afrin in Syria. Turkey-US relations have been rocky in recent years over Washington’s support to the YPG as well as the US failure to extradite a Pennsylvania-based Muslim preacher accused of ordering a failed coup in 2016. Aksoy said Turkish Foreign Minister Mevlut Cavusoglu would go to Washington for a meeting of the US-led coalition against IS on February 6. And one day before Cavusoglu’s visit, a Turkish delegation led by deputy foreign minister Sedat Onal will go to the US for discussions on Syria. Republican Senator Lindsey Graham, a loyal Trump supporter, was in Turkey on Friday for meetings with Turkish officials including President Recep Tayyip Erdogan and Cavusoglu.